Little ones thrive and sleep best when structure and routine are built into their lives, and when parents set clear expectations. The best way to balance these principles changes over time. So after the introductory chapters, The Happy Sleeper is organized according to developmental stages: (1) babies 0 to 4 months old, (2) babies and toddlers 5 months to 2 years old, and (3) children 2 to 6 years old. Parents must follow their infant’s cues about eating and sleeping during the first months of life. Even so, parents can pave the way to good nights ahead. One thing to do is look for opportunities to put your baby to bed while she’s drowsy but still awake. Learned associations are quickly acquired, and a child who always falls asleep in your arms may feel she must be in your arms to fall sleep long after she’s outgrown the need. Another suggestion is to gradually loosen the association between feeding and sleep. The authors spell out how to do it. As babies get to be 4 and 5 months, parents should look for behaviors that signal children’s readiness to soothe themselves to sleep. Babbling, squirming to get comfortable, moving the head from side to side, sucking on a finger, and even squawking are some of the many ways babies lull themselves to sleep. For children still too young to manage on their own, Turgeon and Wright encourage parents to create a “Soothing Ladder.” The aim is to use the least invasive measure to lull babies to sleep before progressing up the ladder to measures requiring greater parental involvement. At about 5 months, babies’ circadian systems are maturing and internal processes are following regular rhythms. Parents should reinforce these rhythms wherever possible. Setting an early and consistent bedtime is crucial to the process, as is establishing a wind-down routine in the evening. Regular naps are important, too. And just as regularity is the key to happy sleep for Baby, it’s the best way to avoid sleep deprivation or developing insomnia yourself. “Good sleep isn’t just about hitting the numbers,” Turgeon and Wright say, “it’s about setting up habits and routines in your house that feel good for everyone.” For parents of children still unable to soothe themselves to sleep, the authors have developed a protocol called “The Sleep Wave.” It helps instill in little ones a sense of parents’ presence while at the same time training them to self-soothe. Older children with trouble sleeping can become independent sleepers as well. Techniques for helping children ages 2 to 6 to are similar and equally well presented. 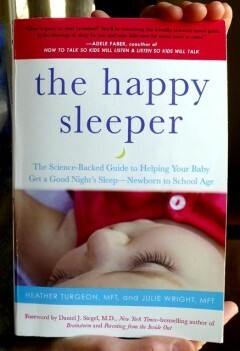 The Happy Sleeper makes for easy reading and is full of practical tips. Troubleshooting sections make it clear that the authors have experience helping parents manage almost any situation that could come up with babies and young children at night. The final chapters are lighter in substance. 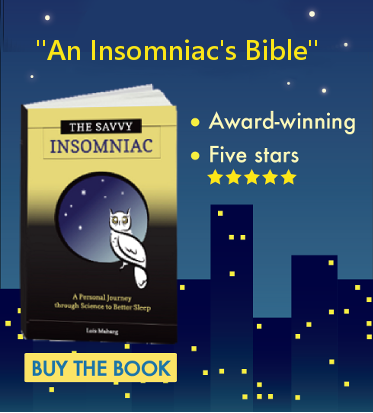 For parents of twins or triplets or a person interested in the science of baby sleep, the information in this book may not suffice. But most parents will find everything they need to nurture a happy sleeper and avoid sleep deprivation themselves. 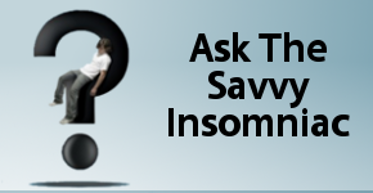 If your child has trouble sleeping, how have you tried to help? Did it work?